When I played Sen no Kiseki, I kind of became enamored with Blade, a card game that you can find in-game. It’s part of the game’s relationship system, and you better the relationships with Rean’s friends by playing the game with them in situations such as long train rides. It’s a simple concept of a game. I’ve made a bunch of notes on the rules (blindly- I need to check them against the rules in-game, as well when I have the chance!) and started to figure out how to make a deck in real life. I’ve located a website that will print the cards for me, so I’ve begun the process of designing the cards on one side. On the other side, when I have the chance, I have the opportunity to play around with a deck of cards I made by cannibalizing two bicycle decks. You can see the three above. 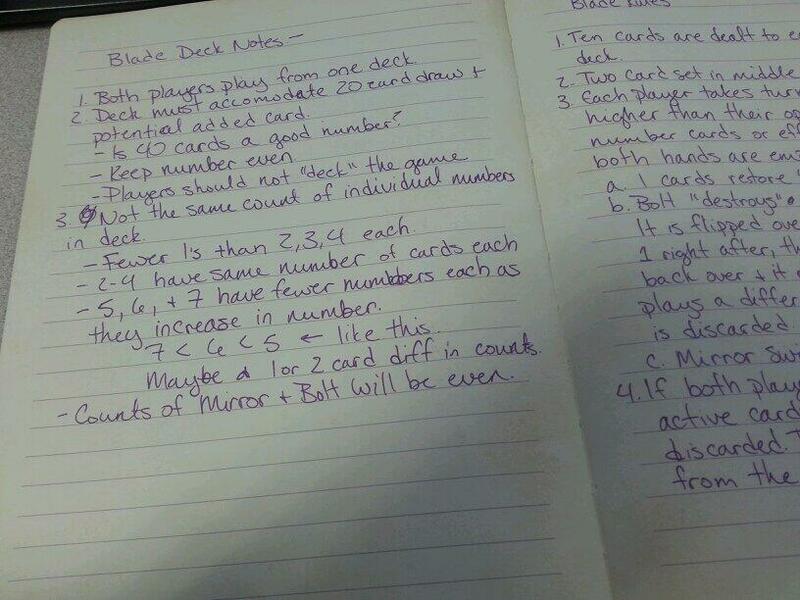 The third deck is just in case I have to replace cards during the test, or change the counts. However, after my initial solo based tests, the 50-card deck seems workable. I don’t see it possible to deck a game- aka, run out of cards from the draw pile. I’ll find out for sure come Saturday, though. The purpose for the off balanced counts is that I want the effect cards and the middle number cards to show more frequent in hands than I want the 1’s, which have a dual purpose in “healing” cards disabled by Bolt, and the 6’s and 7’s, which are the number cards that can turn the tables on the gameplay. I’m making a few rule changes so that the game is easily played with two players using one deck, instead of how each player brings their own deck to the table in Sen no Kiseki itself. This makes it easier and possibly more fun to play. 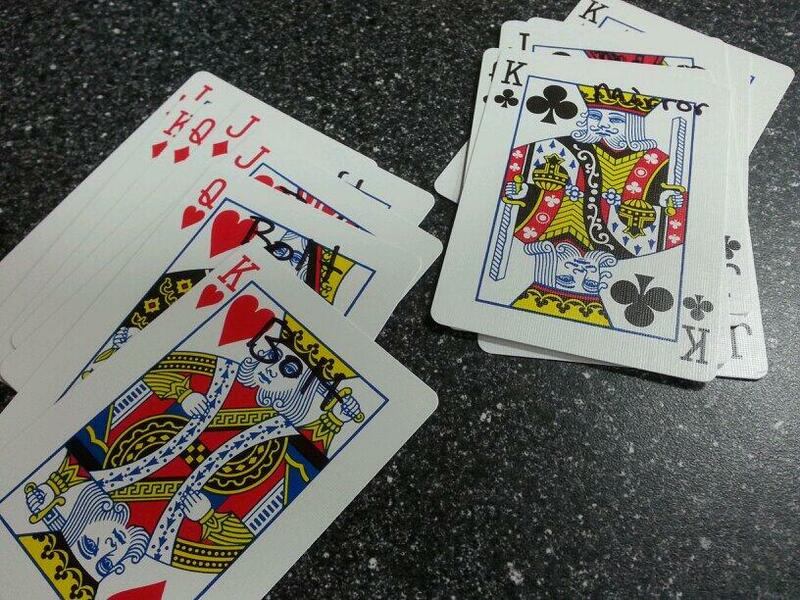 Instead of one dealer dealing themselves, then the opponent alternatively, you pick who deals first. 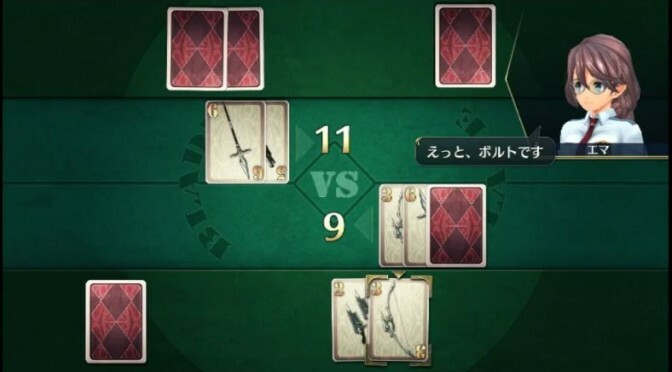 That person deals ten cards to themselves and passes the deck to the opponent to deal out ten cards as well, and the deck is set to the side for use when the game itself is being played. For my test deck currently, I’ve got the face cards marked for Bolt and Mirror. All red face cards are Bolt, and black face cards are Mirror. 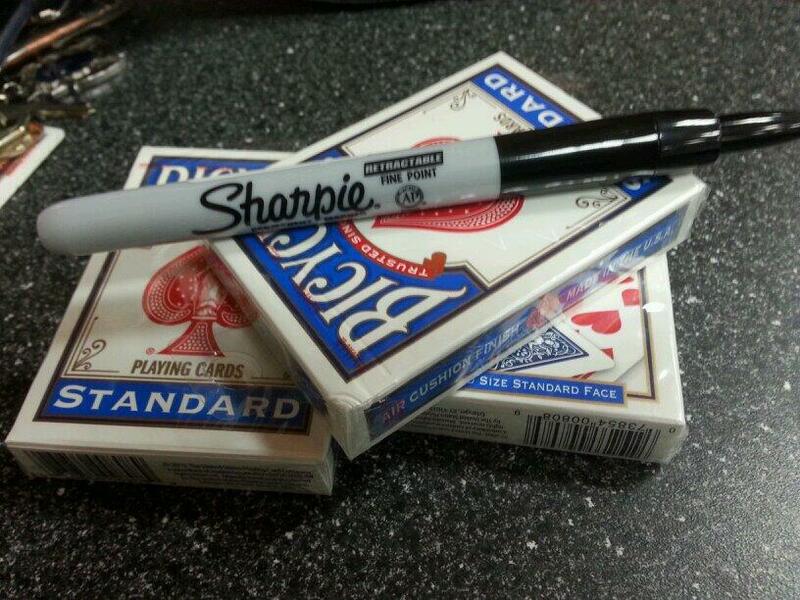 This was done (haha) by defacing them with a sharpie to label what cards they are. So there are quick reminders for test play. I found myself grumbly over it during my own solo test last night. 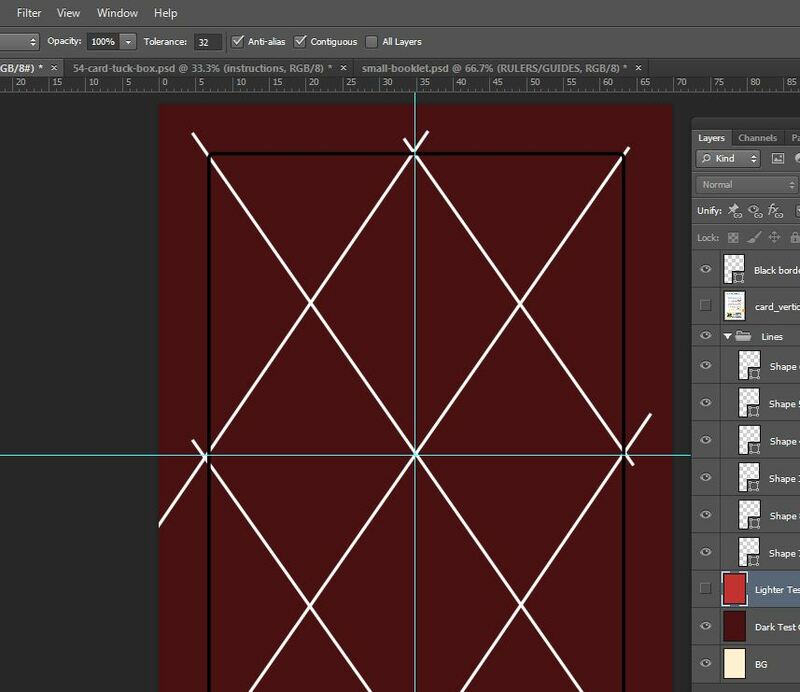 When I have downtime, though, I take to photoshop to continue working on the deck, but in this case, not playtesting, rather just the designing of the cards. All I’ve got started on, design-wise, is the backs of the cards. But I’ll keep showing progress as I get further on with them. If you want to see a video of my first test of the deck counts, check out the youtube video below. I will also probably record video of the multiplayer test plays as well.